Read carefully guys, because here we offer a quite amazing and addictive game that we found, which is a mix of action and adventure game that will surely cheer you up and give you hours of enjoyable and remarkable game play. 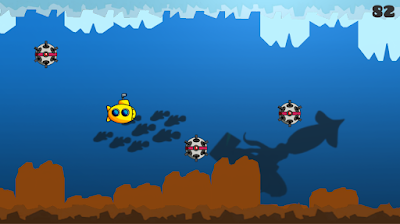 The game is called Crazy Submarine: Underwater Survival, a quite charming, simple but challenging game that features cute graphics, addictive fun game play, cool one touch control and crazy simple submarine endless runner survival underwater. From our experience, getting lost in hours of exciting game play and fun it’s very easy with this game. The game play is about careful controlling the little yellow submarine to avoid the underwater obstacles like mines and corals. 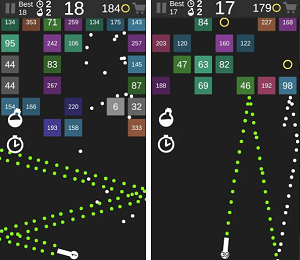 Run far as possible and make high scores or try to beat your own top scores. Crazy Submarine: Underwater Survival is free to play and available on Google Play Store and App Store. Check it out, the game surely worth to be a part of your free time. Enjoy it!